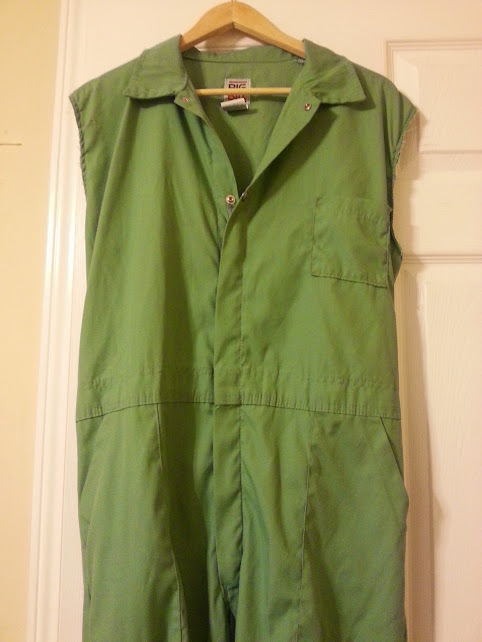 The coveralls are “Big Bill” brand and are the “lightweight work coveralls” in light green. They’re 65% polyester and 35% cotton. They actually work really well as a base for Kaylee’s coveralls with some mods (more on that later). Not all synthetic fibers are created equal. Results will vary depending on type of fabric. Polyester is hard to dye and requires very high water temperature to achieve good color. Therefore we only recommend dyeing polyester with the stovetop method. Note: Instructions below are for achieving the most vibrant color. For lighter shades, dissolve dye packet in small container with hot water. Add dissolved dye to the dyebath in the appropriate amount to achieve desired shade. 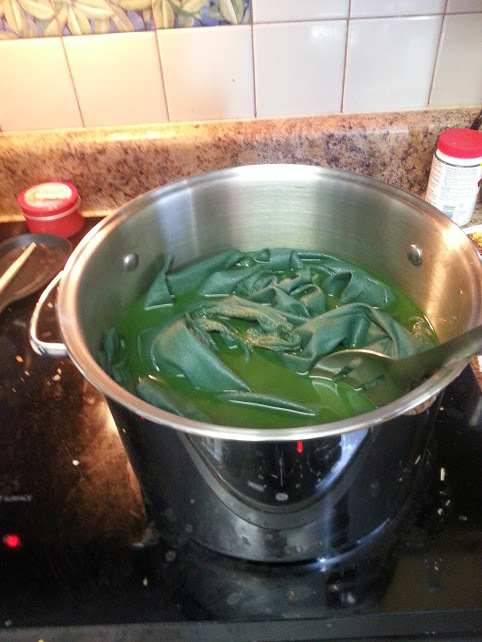 Keep in mind that color will deepen the longer the fabric is in the dyebath. 1. Choose iDye Poly color closest to the iDye for natural fabrics color you are dyeing and add both packets to dye bath. 3. 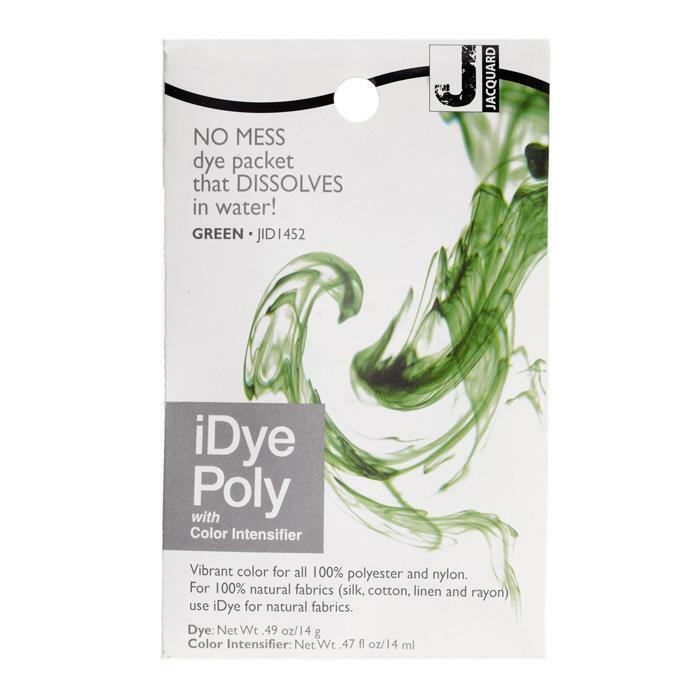 Add iDye Poly, iDye Color Intensifier and iDye for natural fabrics to the water. Stir until dissolved. 4. Add garments/fabric and bring to a rolling boil. 6. Maintain a rolling boil and stir frequently for ½ to 1 hour. For uniform color, use constant agitation. Truth be told, the pics are showing it differently than what my eyes are seeing. They look more bluish to the eye (like the flash pic) than the no-flash pic.There really isn’t any difference. 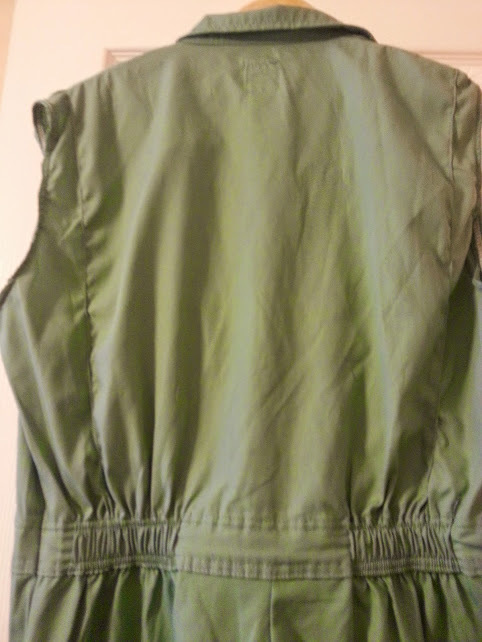 I know some of the dye took to the white part because they’re green-ish, but this is being chalked up as a major fail. 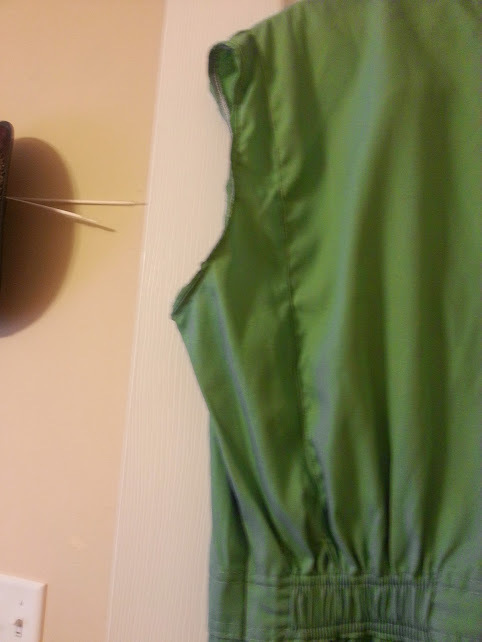 I held up a scrap piece from the sleeves I removed before dyeing, yeah…no change. This was a waste of money. 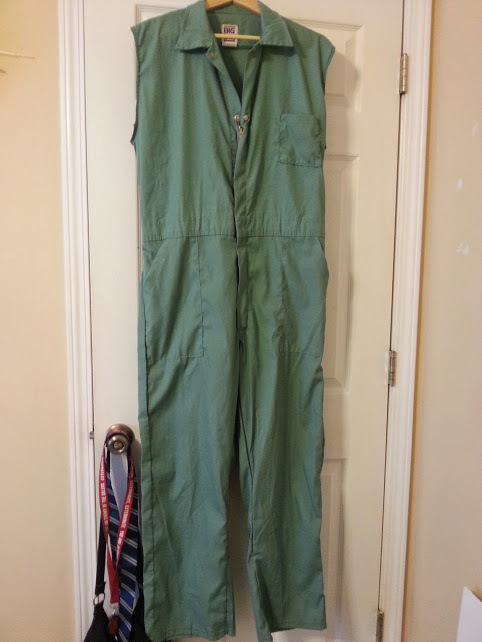 I’ve seen a good review using Dylon Olive green and a pair of cotton/poly grey trousers. I may have to give that one a go. Below is a picture from that review. Looks promising? Fingers crossed.